Bhavya Height residents wanted the staircase shifted as Dadar (East) Monorail station had turned it into a fire-trap as its staircase was barely two meters from its entrance, leaving no space for a fire engine or an ambulance. 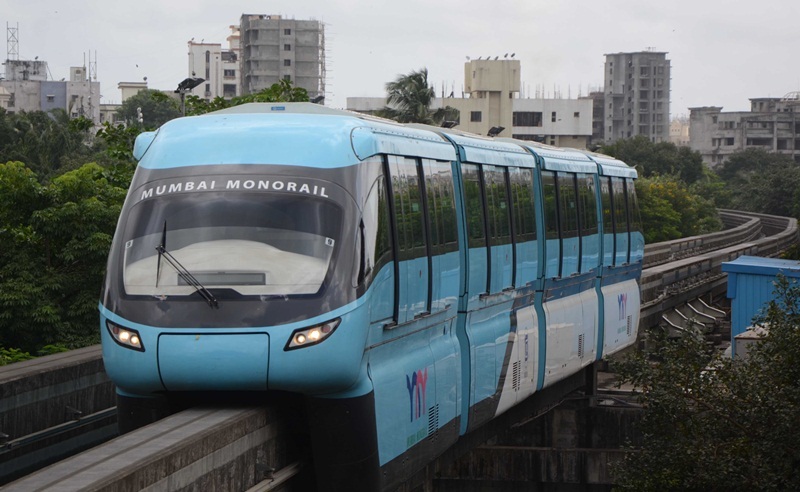 MUMBAI (Metro Rail News): Mumbai Metropolitan Region Development Authority (MMRDA) has told Bombay high court that it will install a CCTV camera below a Monorail station to get immediate alerts in case of a fire at a Wadala highrise next to it. It was replying to High Court query on its preparedness in case of an “unforeseen and untoward incident or an emergency’’ at the 22-story Bhavya Heights. The residents of Bhavya Height wanted the staircase shifted as Dadar (East) monorail station had turned it into a fire-trap as its staircase was barely two meters from its entrance, leaving no space for a fire engine or an ambulance and they moved HC in 2016. On March 2018. According to the MMRDA’s reply, filed by a deputy planner, said before carrying out a mock drill, it had “strengthened and paved’’ open spaces in front of the building as per requirements of the fire brigade “to place a fire truck in case of a fire emergency”.